When I first found myself in Kyoto, I immediately noticed how clean the air and water were. Living in California, my standards are pretty high, but what I experienced in Kyoto was unlike anything I had seen before. Artfully veined with crystal-clear babbling brooks, the entire city smelled of pure water. I also couldn’t help but notice how luminous everyone’s skin was. At the time, I suffered from acute dermatitis which led to bleeding, blistering, cracking and peeling all over my face, lips and eyelids. I had tried everything—luxury creams, DIY serums, three years of prescription oral and topical antibiotics and steroids—and exactly nothing had worked. Doctors said my skin would never be the same. I looked into the skin care rituals of the city’s geisha and of modern women throughout Japan, customs that notably have been around for centuries. At a visit to a little makeup store, I learned to cleanse with camellia oil and a mixture of rice powder and water that polished my skin to a pearl-like luster. I was fascinated by these gentle yet efficacious treatments of pure, natural ingredients that seemed to have no use for the aggressive quick fixes favored by the West. The other thing that caught my attention is that my skin healed. Not overnight—but sure enough, in a matter of weeks the condition that had plagued me for years was gone. It was like finally waking up from a bad dream. I was thrilled, relieved and in awe. This launched me on a journey of balance not only with my skin, but within myself as well. 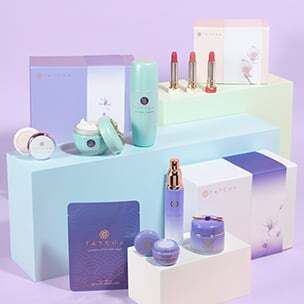 It inspired me to create the Tatcha collection and the Tatcha facial, so others could discover some of the magic I had been lucky enough to experience. 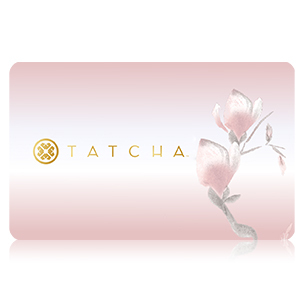 The treatment I created with the Four Seasons Hotel in Kyoto, the Tatcha Akari Golden Glow Facial, encapsulates both the sensorial aspect and transformative wisdom of Japanese skin care rituals. You can also find our facial at the Ritz-Carlton Spa in Half Moon Bay, CA. Have you ever stumbled on something that changed the course of your life when you least expected it? I never could have predicted that what started off as a quest to calm my sensitive skin would lead me down a path of self-discovery and personal fulfillment. I hope that whatever inspires your own skin care rituals yields unexpected moments of clarity and wonder, the way that it did for me.